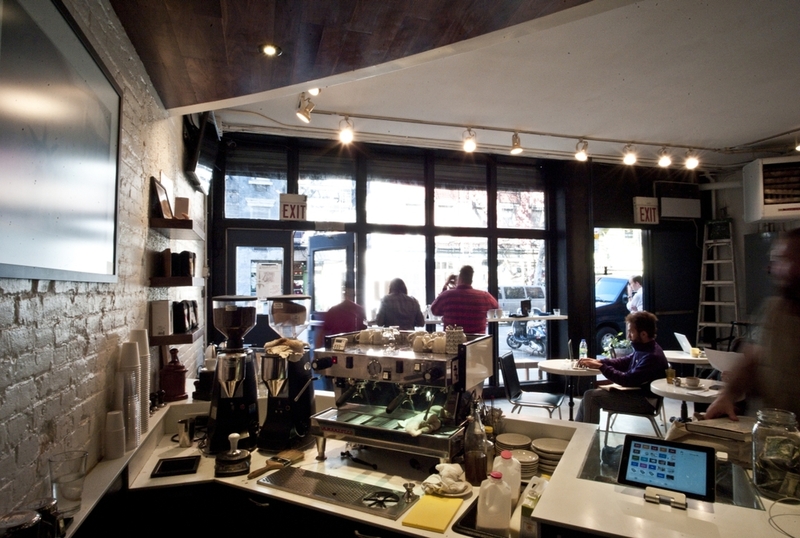 This existing cafe has been located in the lobby of the Classic Stage Company in the East Village since 2007. 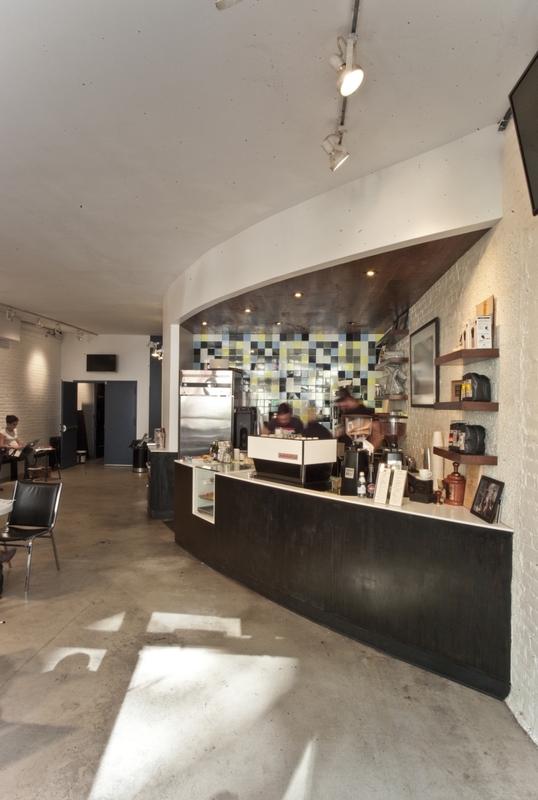 The 2013 renovation was designed to handle large groups that arrive for theater performances while also providing open seating for cafe regulars. Working with the existing geometry of the space, the service counter curves along with wall of the ticket booth. 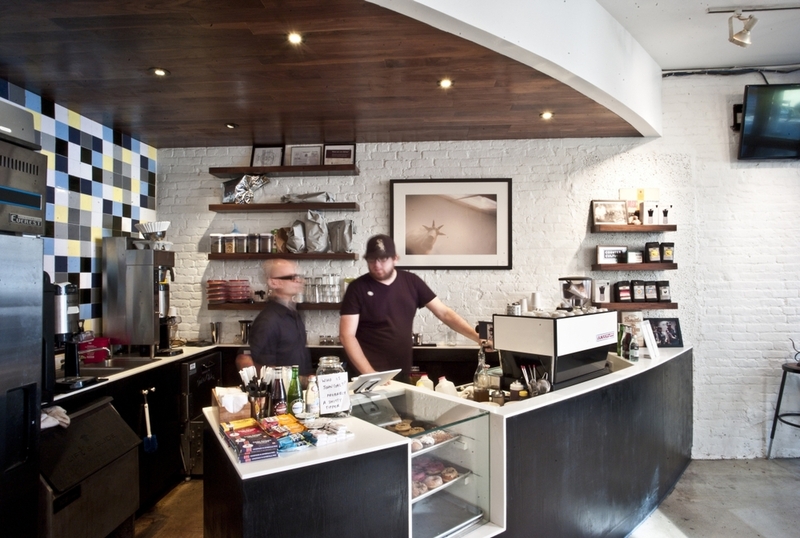 The main tile wall references the tile design in Everyman Espresso Soho.